Written as a narrative, Polish author Joseph Conrad writes about a character known as Charles Marlow. Charles Marlow is a ivory transporter who works down Central Africa traveling through the Congo river. From the beginning of the story, Charles Marlow is sort of obsessed with the “yellow” colored river on the map, the Congo River. It is this obsession that leads Marlow to work for a company that transports ivory down in Central Africa. Curious fact is though, that this company has had many steamer captains, the recent one of which died due to savage natives. However, this seems as nothing out of the ordinary since Marlow is set on traveling through the Congo River. Marlow joins the Belgian ivory trade firm and starts up on a journey to Africa. During his journey through Central Africa, Marlow hears of an important and successful man named Kurtz. From the accountant, Marlow learns that Mr. Kurtz is a respectful man who has gained the most ivory compared to the other posts. Kurtz is sick, however he still has ambitions of becoming a manager within the ivory company. Even though Marlow does not know much of Kurtz, he starts to adore him, and eventually becomes obsessed. Throughout the trip, Marlow goes through many experiences, such as having a dead crew member fall at his feet and bleed to death, and get attacked on the ship by the local natives. In the conclusion of the story, Kurtz eventually dies, and Marlow is left looking into the darkness. 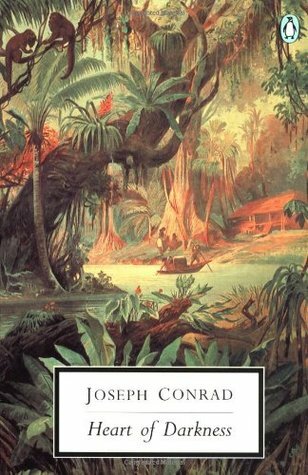 This entry was posted in Book Reviews and tagged classic, joseph conrad by Nirmeet Bhogill. Bookmark the permalink.